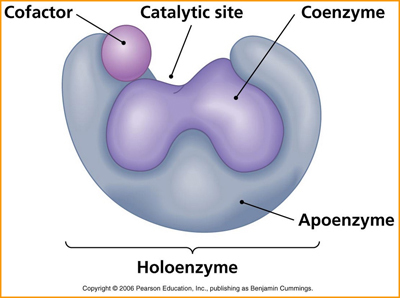 Coenzymes & Cofactors | Metabolism Assays | BioVision, Inc.
Coenzymes and cofactors are molecules that help an enzyme or protein to function appropriately. Coenzymes are organic molecules and quite often bind loosely to the active site of an enzyme and aid in substrate recruitment, whereas cofactors do not bind the enzyme. Cofactors are "helper molecules" and can be inorganic or organic in nature. These include metal ions and are often required to increase the rate of catalysis of a given reaction catalyzed by the specific enzyme. These coenzymes and cofactors play an integral role in a number of cellular metabolism reactions playing both structural and functional roles to aid in the catalysis. BioVision has a great portfolio of assays in this category which include assays for NAD, NADP, FAD, Acetyl CoA, ATP and many such molecules. The assays are simple, rapid, and compatible with a large number of sample types.